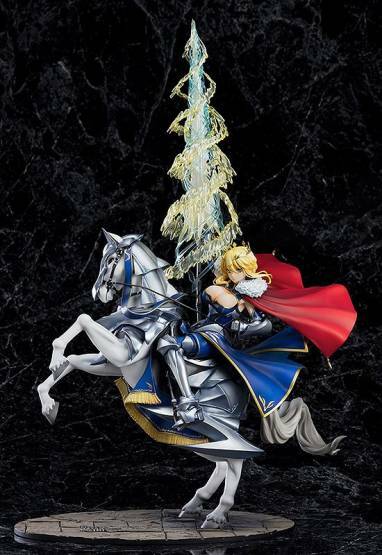 Zum Videospiel ´Fate/Grand Order´ kommt diese detailreiche Statue von Lancer. Die aus PVC gefertigte Statue kommt im Maßstab 1/8, ist ca. 50 cm groß und wird in einer bedruckten Fensterbox geliefert. 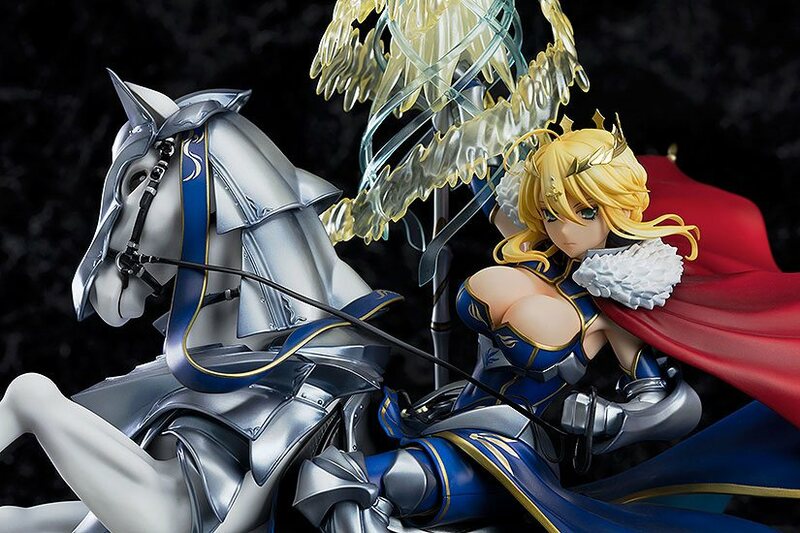 From the popular smartphone game "Fate/Grand Order" comes an impressive 1/8th scale figure of the Lancer servant, Altria Pendragon, based on her appearance in her third ascension! 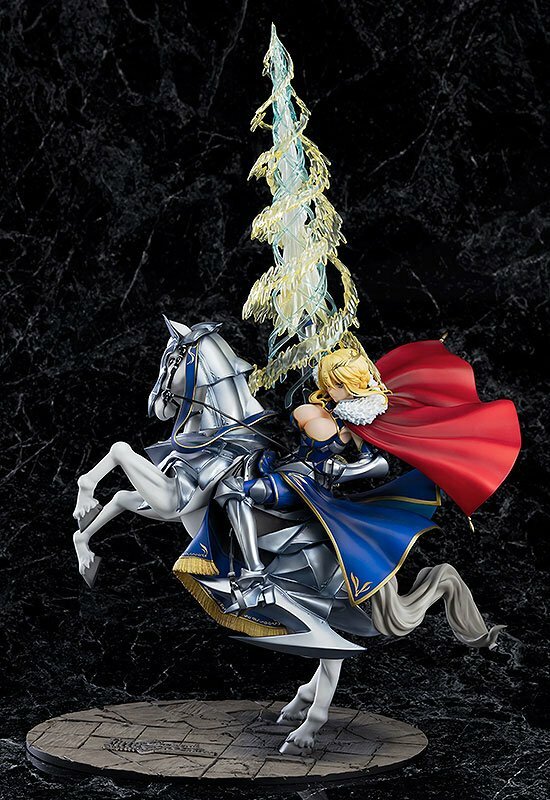 She is posed riding her beloved steed Dun Stallion in a heroic and mature pose that captures her as if just before making use of her powerful Noble Phantasm. 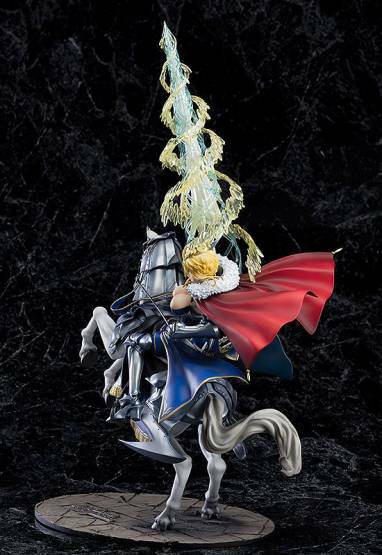 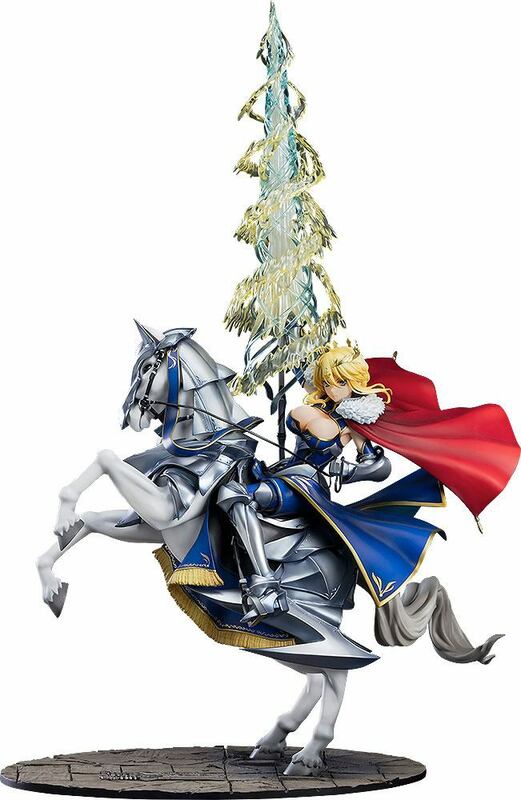 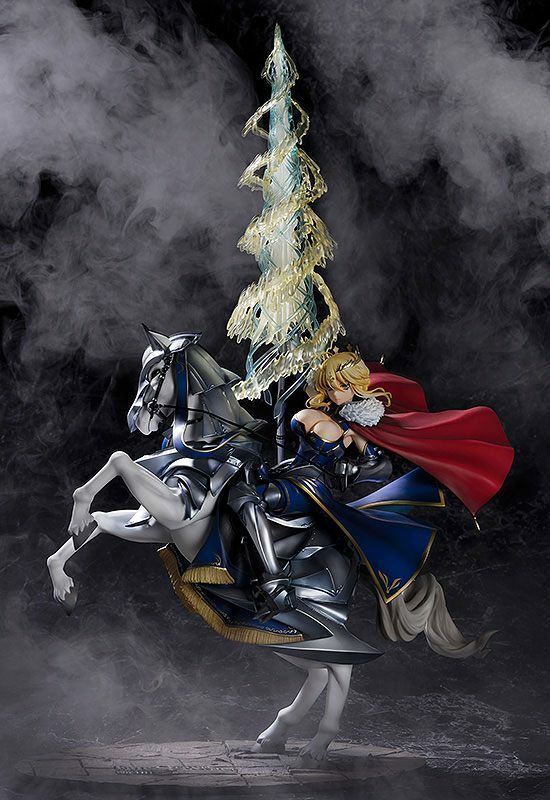 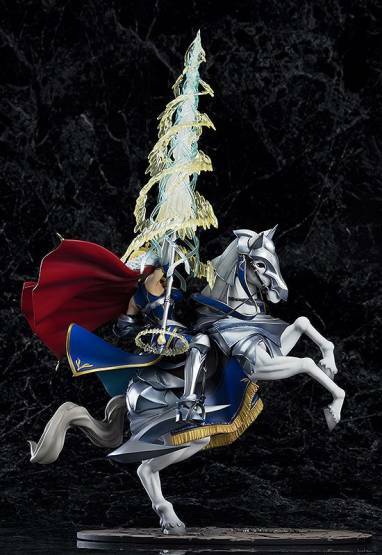 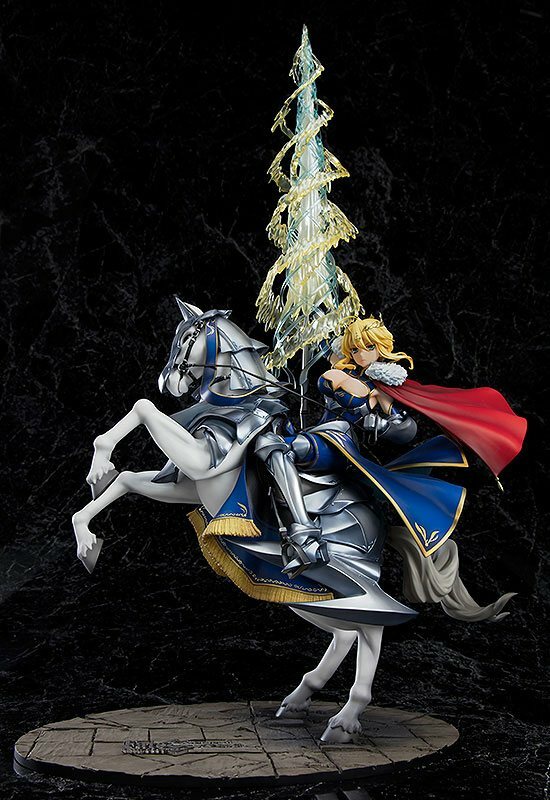 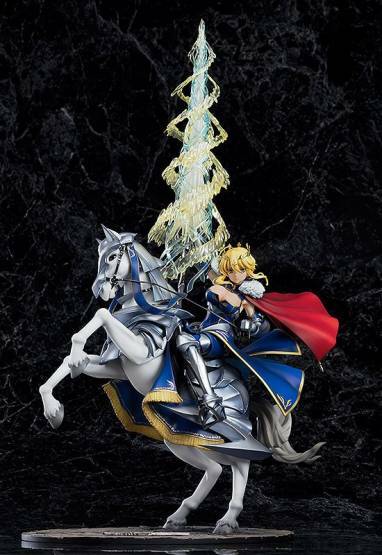 The crimson cape that billows behind her and the deep blue outfit that shows off her impressive curves have all been sculpted in intricate detail, and the impressive armor on both the horse and Altria herself gleam with silver beauty. 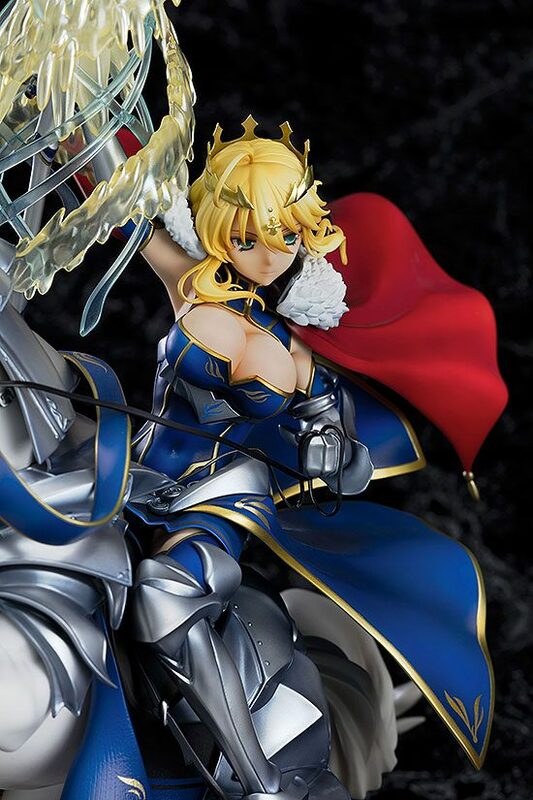 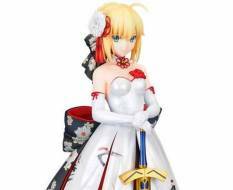 In her hand she holds the holy lance, Rhongomyniad, which makes use of translucent parts for a truly magnificent appearance. 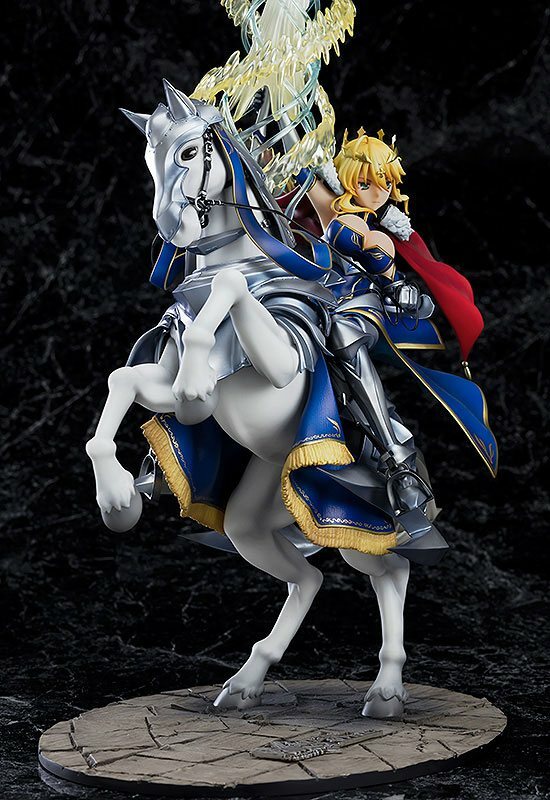 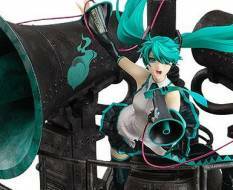 Be sure to add her to your side and experience the mighty Lancer and her trusty steed right by your side!